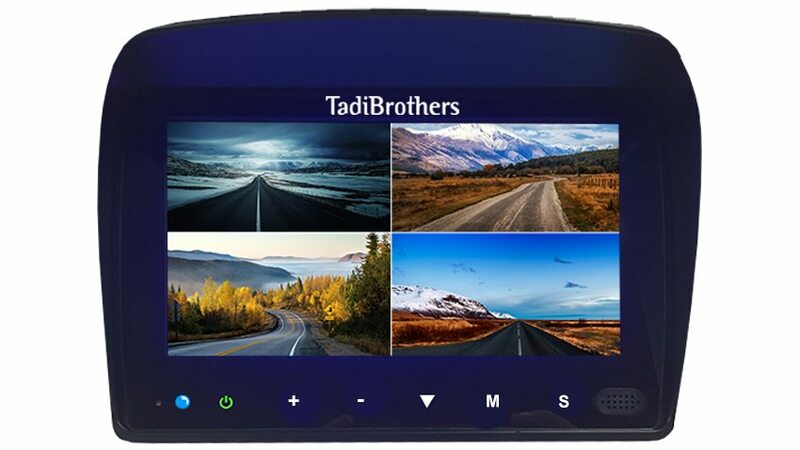 The crystal clear 7” LCD Monitor is a perfect addition to any driver that needs assistance backing up. See the whole world behind you in rich colors. It is also an LCD monitor so it is very light as well as thin. In addition, it has four video inputs so you can connect multiple cameras, game system or a DVD player. When the screen is powered on you have the option to either viewing one camera or all four in a split screen. This versatile monitor is compatible with all our cameras and any car; it connects to any power source or a cigarette lighter. It can mount on your windshield or dashboard (mount included). Super easy installation.